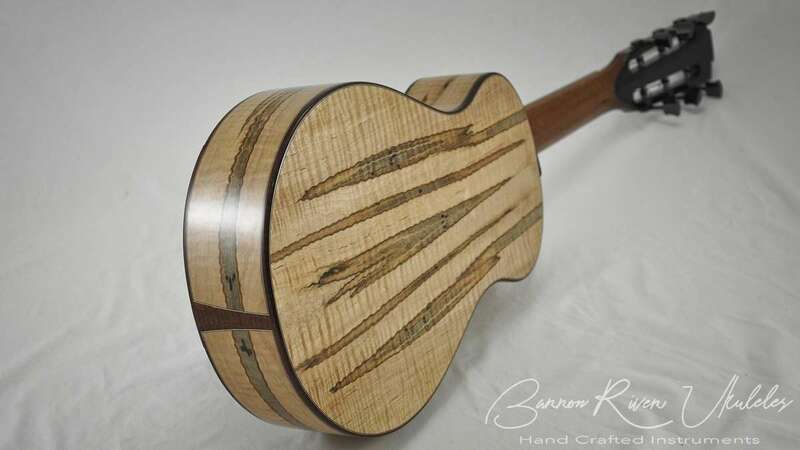 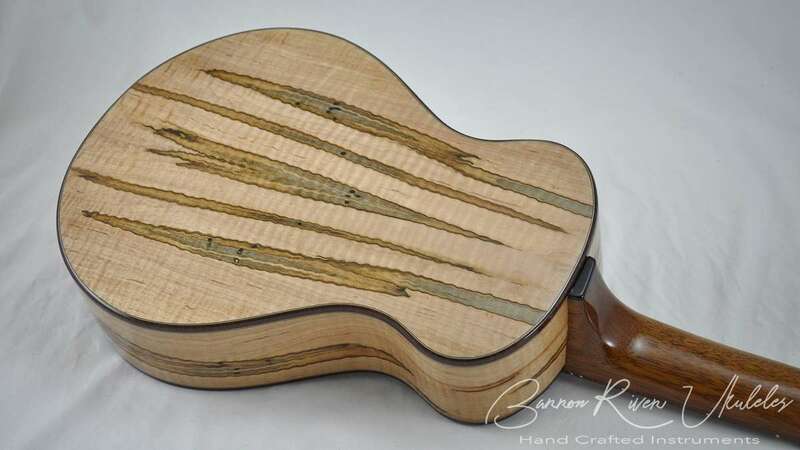 The 3000 year old Sitka Spruce is showcased by the extraordinary beauty of nature in the timber of this instrument. 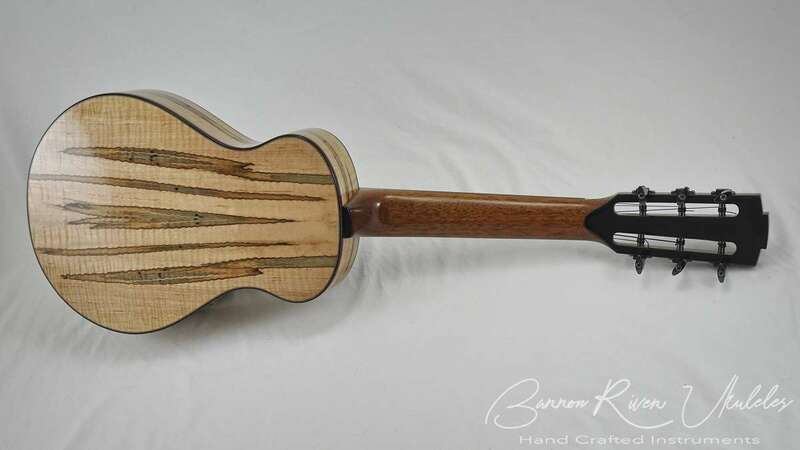 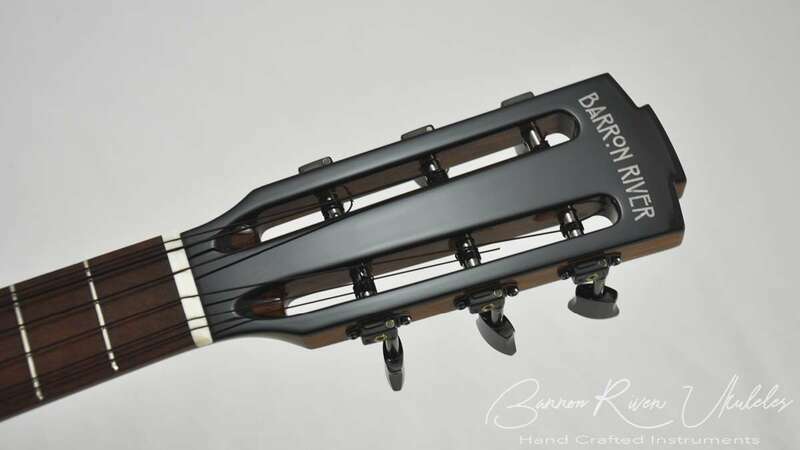 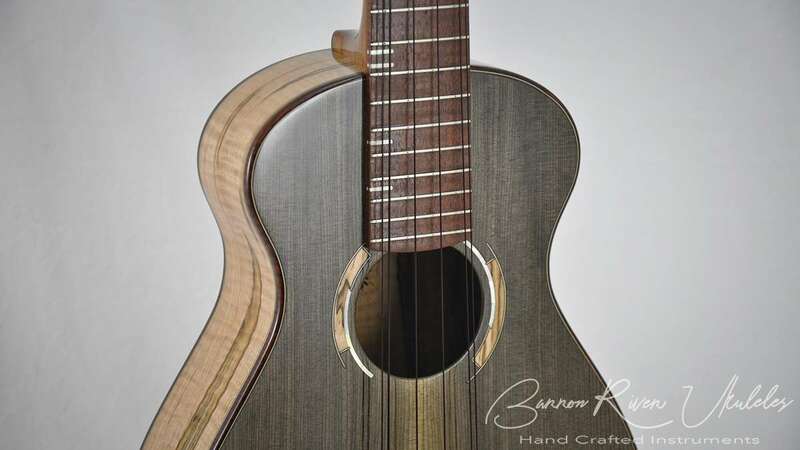 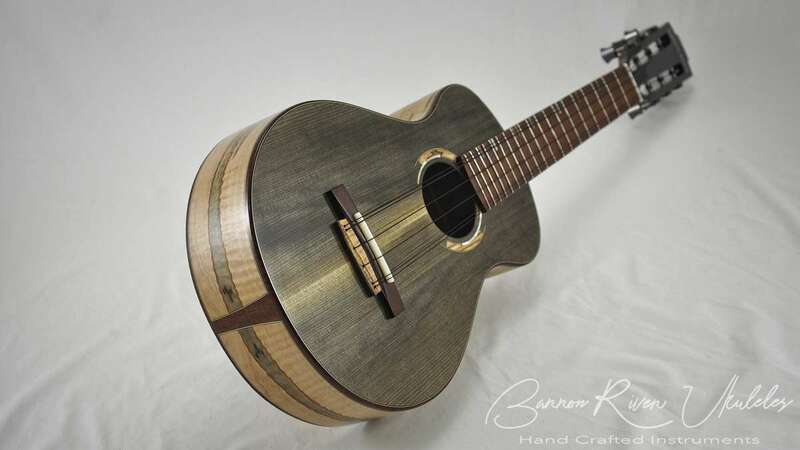 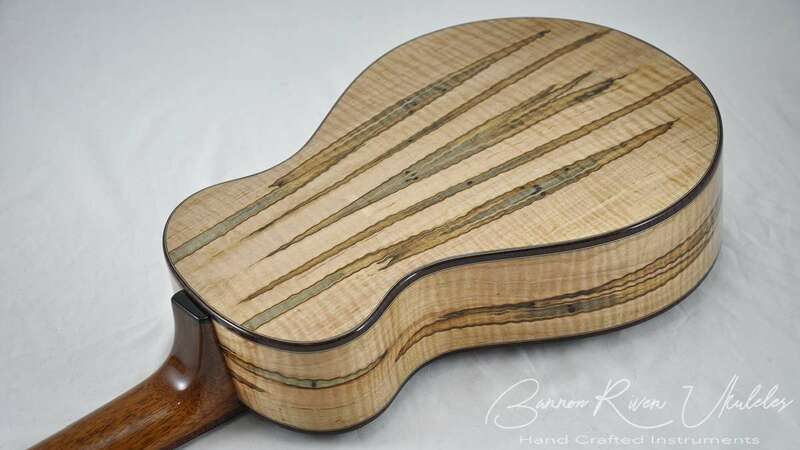 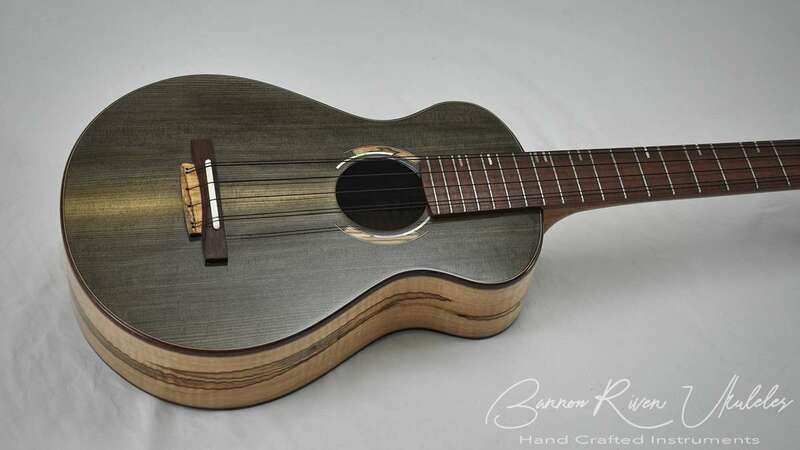 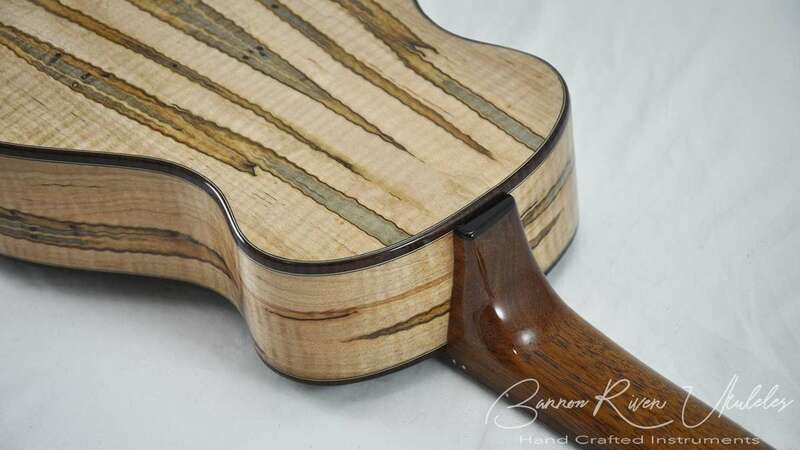 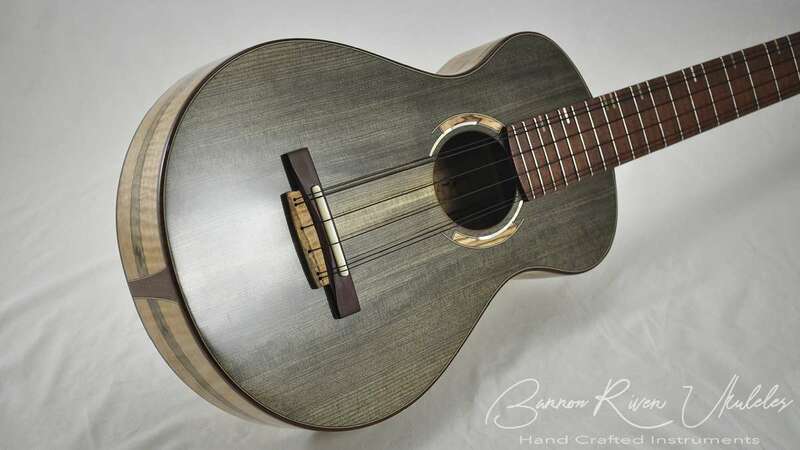 The Ambrosia Maple has a very nice curly figure and is mirrored in the curly Jarrah bindings and fret board. 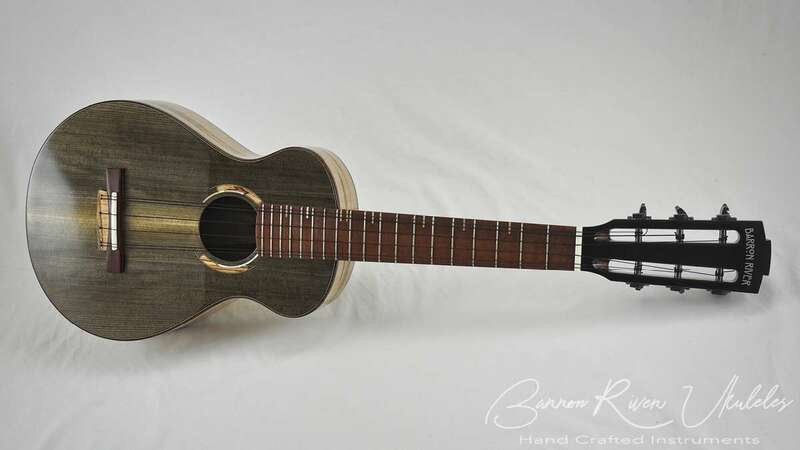 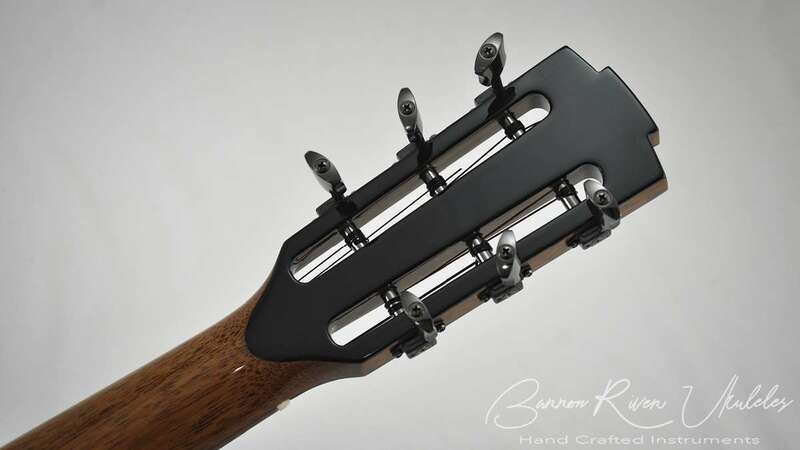 High gloss finish and tuned to gG, C, e, aa with Woth Brown Strings.